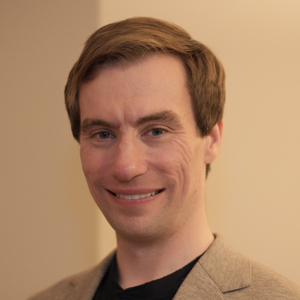 Dr. Paul Johns recently completed his PhD in Physical Chemistry at the University of Notre Dame and is currently employed as an ASEE Postdoctoral Researcher. His research focuses on ultrafast spectroscopic studies of the propagation of surface plasmon polaritons through gold nanostructures. To further understand the propagation, he models the structures using the finite element method program COMSOL Multiphysics®. Paul has taught in a variety of capacities: as an undergraduate and graduate TA, as Visiting Laboratory Instructor at Saint Francis University where he taught Physical Chemistry I Lab, General Chemistry II Lab, and Organic Chemistry I and II Lab, and as the primary instructor at the University of Notre Dame for a Physical Chemistry II course.